Joshua M. Zudar is an experienced trial lawyer and a third generation Tampa native. In 2004, he graduated from the University of Florida with a Bachelor of Arts degree in Political Science. Mr. Zudar continued his education in Houston, Texas at South Texas College of Law, where he received his Doctor of Jurisprudence in 2008. 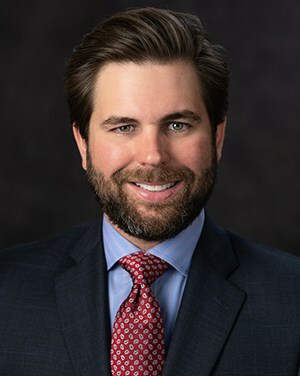 After graduation, he returned to Tampa and joined Marshall Thomas Burnett–Florida’s largest sinkhole litigation law firm-where he litigated first-party property insurance and sinkhole insurance claims. Mr. Zudar’s practice has been concentrated in protecting the residential and commercial property owners throughout the state of Florida and has handled over 1,000 cases from Miami to Tallahassee. In addition to Mr. Zudar’s property insurance practice, he has litigated numerous fraudulent real estate disclosure cases that arise when a seller and/or their agent fails to disclosure non-visible latent property defects to a purchaser. Prior to establishing Wilson Reeder & Zudar, Mr. Zudar along with Mr. Wilson and Mr. Reeder pioneered a new sector of construction defect litigation by representing the single family home owner, who legally, had gone unrepresented against the national homebuilder association. Homeowners across the state whose homes were suffering from water intrusion caused by building code violations related to the exterior stucco systems were left to deal with the builders on their own. Mr. Zudar has successfully prosecuted hundreds of stucco case throughout the state and has repeatedly obtained some of the highest arbitration awards and settlements in the industry. Mr. Zudar started Wilson Reeder & Zudar to offer a more personalized service to his clients and to broaden the focus of his practice to include serious personal injury matters, and to help consumers protect themselves from a wider variety of wrongdoing by insurance companies and other corporate entities. Mr. Zudar has been awarded the AV-Preeminent rating by the Martindale-Hubbell Law Directory, which is the highest possible rating for legal ability and ethical standards. He is admitted to practice before all state courts in Florida and the United States District Courts for Middle and Southern Districts of Florida.